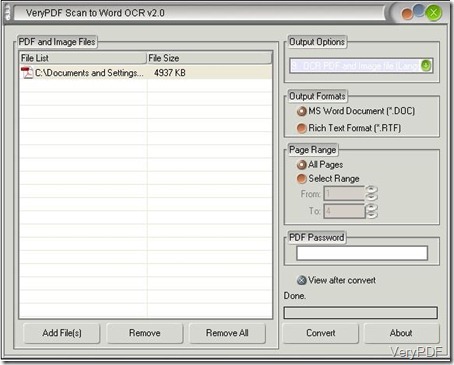 Scan to Word OCR is a very useful software desinged to help users to convert scanned images into editable Word or RTF documents. It can recognize six languages which include: English, French, Spanish, Italian,German and Portuguese. With the advance techlnology of OCR, it can help the retain the original layout perfectly. 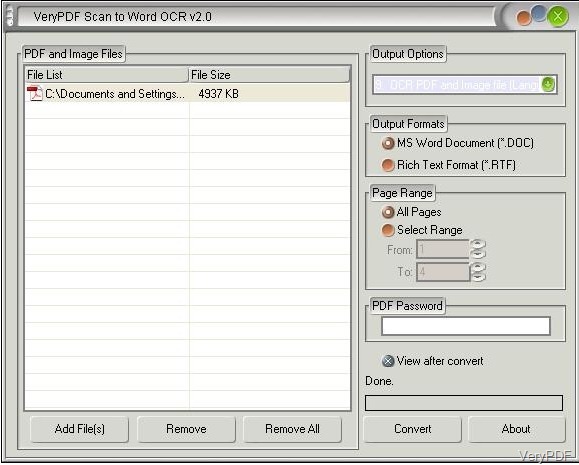 Scan to Word OCR can be used to help users convert scanned images into editable Word with original layout. With the options listed in the right side of the Scan to Word interface , the users can convert Scanned images according to their needs. 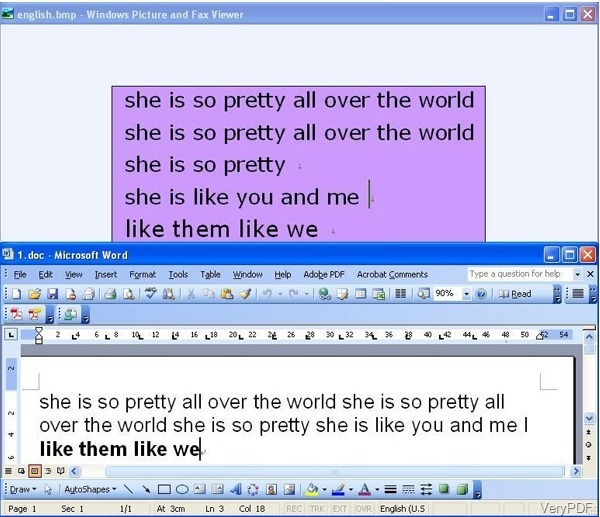 Here we will introduce a very easy way to convert scanned images into Word with Original Layout-Scan to Word OCR Converter. Click the button"Add Files" and select the scanned images you want to convert or you can drag the files into the list. If some files you want to clear in the list, select the files with the mouse and click the button "Remove", Click the button "Remove All" if you want to remove all the files. On the right side of the interface, four group boxes are provided for you to choose which can help you convert scanned images into editable Word or RTF documents. Therefore choose the first choice"Original Layout without text boxes (Best)" in the group box of "Output options", the first seven options are for the different output layout formats, options fron 8 to 13 six languages supported by the application. In the next group box of “Output formats", choose the "MS Word Document(*.DOC)". In the group box "Page Range",select "all pages" if you want to convert all, if specified pages are need, choose "Select Range" and input the page numbers in "From and To". Input the password if the the PDF files are encrypted. You can choose "View after convert " to browse the output documents after conversion. 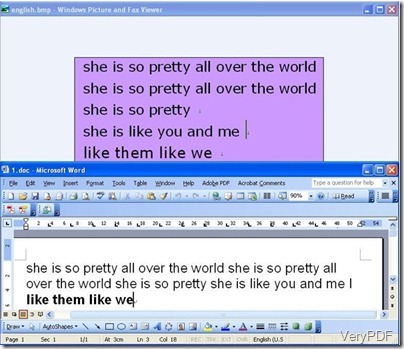 Several seconds later you will see the new Word documents with the original layout. This software is useful and efficient for the users who are in trouble with such problems. Besides, one point to mention is that the resolutions of the original files must high enough so that they can be converted to the editable one, otherwise, the recognized language cannot be edited. Convert pxl to jpg and set resolution via command line? This entry was posted in VeryPDF Blog and tagged scan to word OCR. Bookmark the permalink.